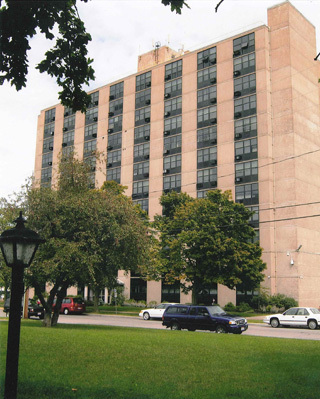 Erie Metropolitan Housing Authority will deny admission to any applicant when appropriate screening reveals a history of behavior that could have a detrimental effect to the other tenants, staff or the development’s environment. Application – Applications for assistance can only be accepted when the Waiting List has been determined open to accept them. Online pre-applications to Open waiting lists can be processed here. Open waiting list applications can be accepted at the Erie Metropolitan Housing Authority office located at 322 Warren Street; Sandusky , Ohio 44870. The office hours of public operation are Monday through Friday, 9:00 AM to 4:00 PM. Hard copy applications/pre-applications may be picked up at the main office of Erie MHA at 322 Warren Street when a waiting list is open, but online pre-application is encouraged. Application information may need to be verified in order to continue processing the application. Applicants will be contacted to verify such information as they near the top of the waiting list. Therefore, it is extremely important that applicants keep their contact information up to date. After determining final eligibility, applicants will meet with their case manager to review the available housing unit and potentially sign a lease. The lease provides you information about your responsibilities as a tenant and those of the housing authority as the landlord. Housing Authorities are required to utilize income verification methods including those provided by the U.S. Department of Housing & Urban Development. The EIV system provides information to the Housing Authority. A brochure about What You Should Know About EIV can be downloaded here. Erie MHA's public housing units and properties are smoke-free environments.